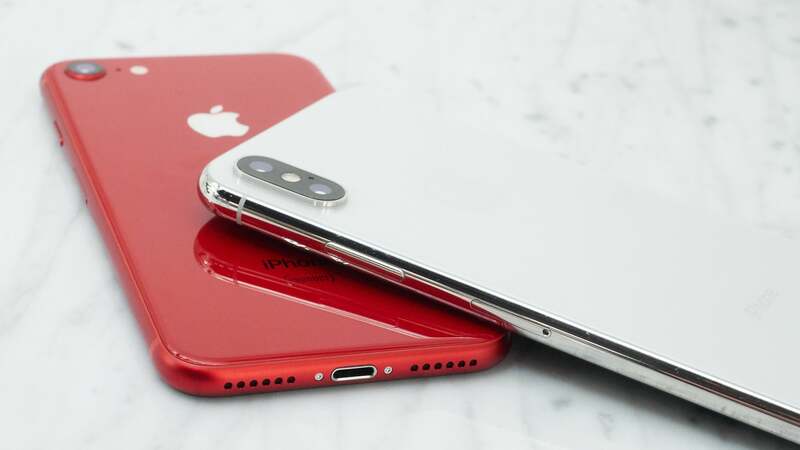 According to the latest hardware leaks, Apple will be launching three new phones in 2018 - including a followup to its polarising flagship, the notch-equipped iPhone X. Here are five things you need to know about the upcoming phone, based on the latest credible leaks and rumours, including images of a 6.5-inch screen. #1 Biggest iPhone screen ever? There are other, conflicting reports of a 6.1-inch screen. This would still make it larger than Android's premiere flagship, the Pixel 2 XL. You can see a leaked image of the alleged iPhone X2 screen over on the MacX forum. #2 Three iPhone X models? Regardless of what the new phones are called, it seems likely that Apple will be moving away from the 'classic' iPhone design in favour of Home-free displays like the iPhone X. All has been quiet on the insider intelligence front when it comes to the new iPhone X's launch date. However, it's possible to deduce a rough time frame based on past iPhone releases - so expect a tentative US Autumn release (September-November). This is backed by a a leaked Kuo research note which points towards three new iPhone models - which will presumably include iPhone X's successor - in late 2018. So what about specifications? If a Bloomberg report can be believed, the iPhone X2 (or whatever it ends up being called) will come with a new A12 processor supplied by TSMC. This is a 7-nanometer chip that is said to be smaller, faster and more efficient than Apple's current CPUs. You can also expect some (potentially major) improvements to the camera. Credible rumours include a 3x optical zoom and an extra lens to put in line with the Huawei P20 Pro's trio of rear-facing cameras. Huawei have made a pretty big splash in Australia, delivering a line of smartphones that deliver on impressive internal specs and remarkably well-designed cameras. Those that got their hands on their previous high-end offerings - the Mate 10, for example - were not disappointed. Now, the P20 Pro, unveiled in March this year, is coming to Australia to shake things up even more. Here's how much the P20 Pro will cost in Australia and when you can get it. The controversial display notch looks to be returning on the iPhone X2. The aforementioned display leak on MacX has a rectangular cutout that can only mean one thing. However, there are also reports that the notch will be smaller this time around which should make it less obtrusive in immersive/full screen mode. According to a patent filing spotted by IBT, Apple is experimenting with 'squeezable' controls, similar to those found in flagship Android devices. However, it appears Apple's version will be more versatile with different functions enabled depending on the amount of pressure you apply. There's no confirmation that the iPhone X2 will come with squeeze detection, but with the Pixel 2 and various HTC handsets already boasting similar technology, it would make sense for Apple to jump on this fast. You might want to fix your title from "The largest smartphone ever" to "Their largest smartphone ever", several 6.5" devices are already out there, even Samsung do at least one. I don't want a phone that big. Original pixel is about the sweet spot.